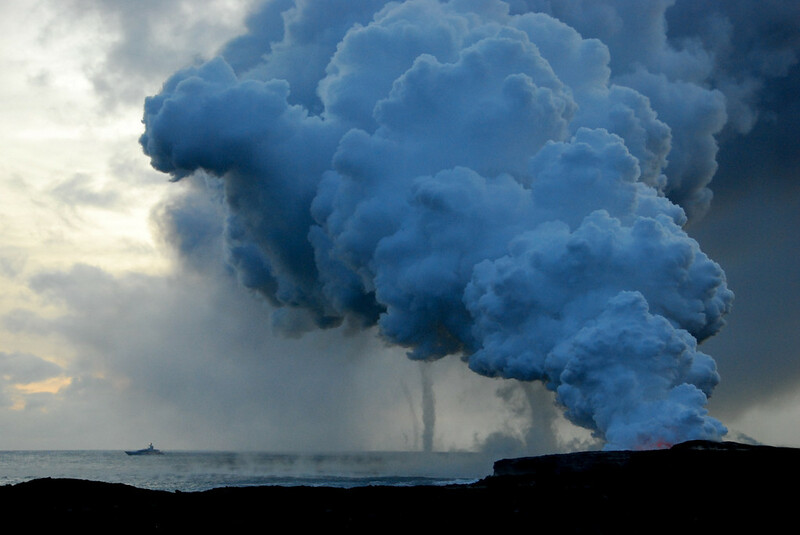 A very neat sequence of eruption photos. And those mini-tornadoes are way cool! I was out there in 1987 when flows were covering the end of the road in Kalapana and had just partly buried a house. Geologists from the GSA meeting were sneaking off past the no trespassing signs and walking up to where lava was breaking out of tubes (it seemed a little too close to me). Quite beautiful. 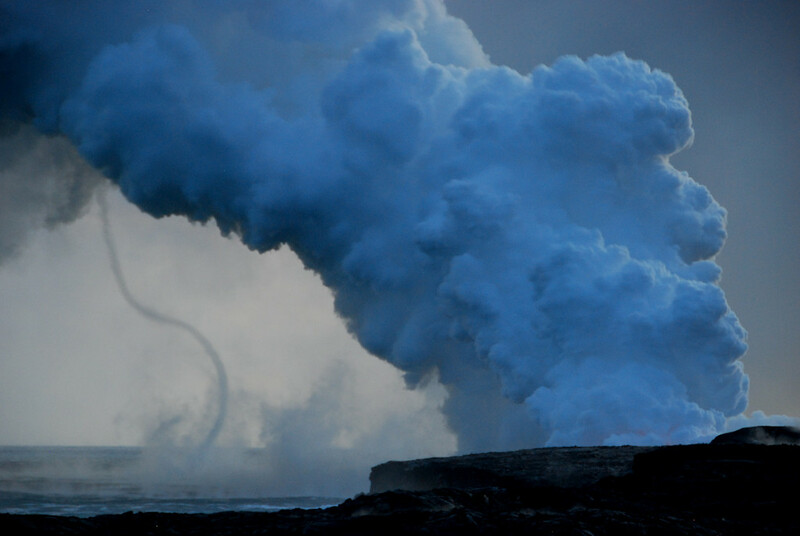 I suspect the mini tornadoes are actually forming over the hot water, heated by the lava- that is, they are not connecting "the steamy sky and cool ocean," but the steamy sky and the steamier ocean. A tripod helps immensely with shots in the dark, but I have to say that the full-sized version of your last picture is very beautiful and dramatic- the sense of motion in the steam cloud is powerful. I certainly hope you don't feel this is a failed or wasted picture. Silver Fox - the temptation was really strong to get a bit closer to the lava than the official viewing site... But I can kind of understand why they don't want everybody to get too close to the action. 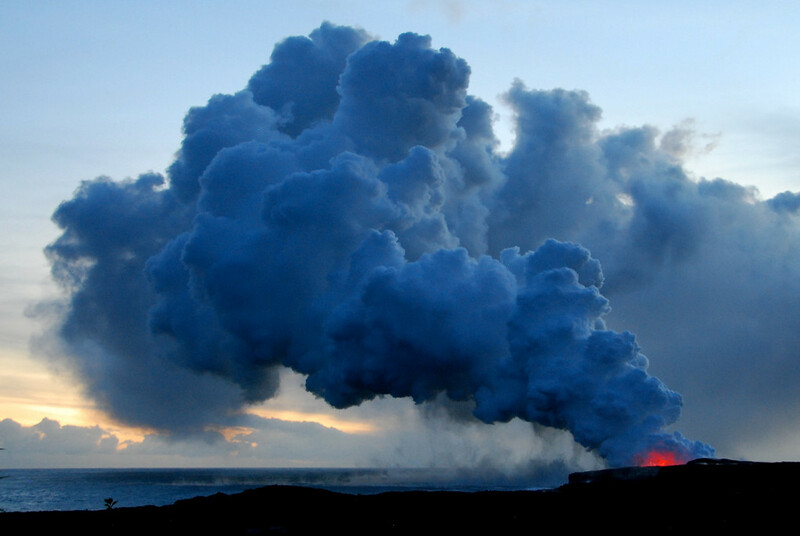 Lockwood - you are probably right about the ocean being hotter than the steam cloud. 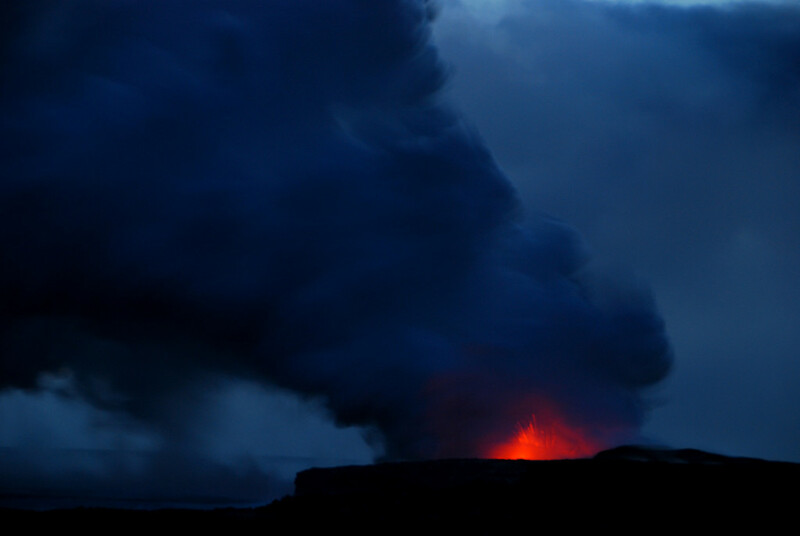 The tornadoes occurred only in the immediate vicinity of the the lava entry point, where the water indeed must be hot. I did have a tripod with me, but the problem was that, with the long times needed for a reasonable exposure, everything got blurry. Of course, you can use higher sensitivity and shorter exposure times, but then the images became quite grainy and noisy. Being closer and not having to use a telephoto lens would have helped as well. Ah, that brings me back to our HI vacation. 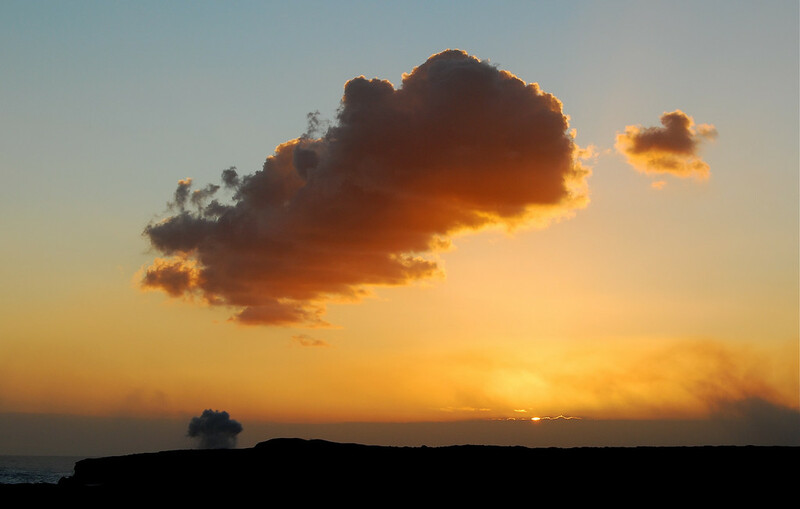 We also had beautiful shots up until sunset when we needed the longer exposures. Unfortunately, the wind also picked up enough that even with the tripod we got blurry photos. But, my memory remains. It's an incredible experience.